Apply watermark or logo to the resulting PDF file. So if you want to have a PDF file out of TIFF but want to crop the image, set landscape orientation and apply watermark - Total Image Converter can do that for you in one conversion. Besides, it can convert any number of TIFF files to PDF. 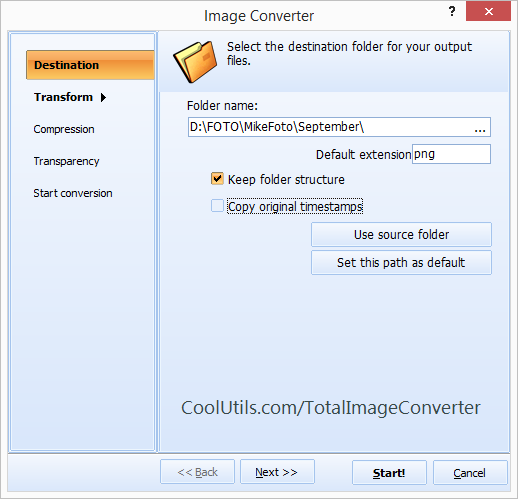 If you need to convert hundreds of TIFFs to PDF set the parameters just once and leave Total Image Converter do the job. 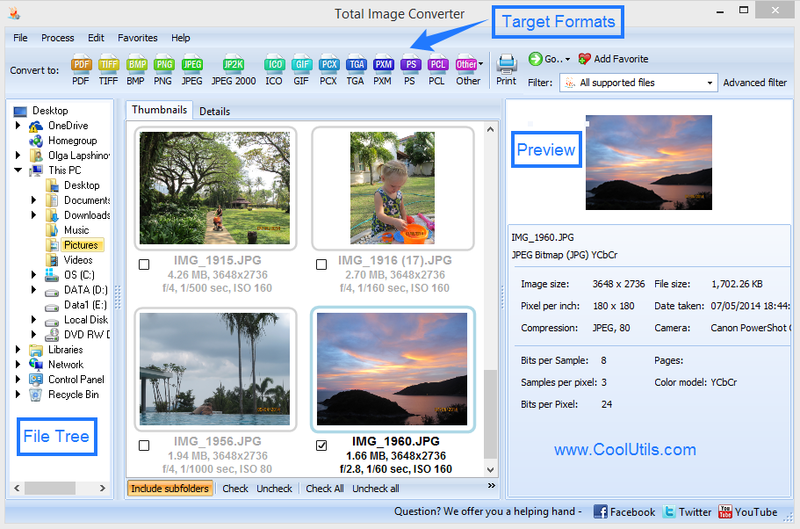 You don't have to pay any money before you actually make sure Total Image Converter can convert your TIFF to PDF. 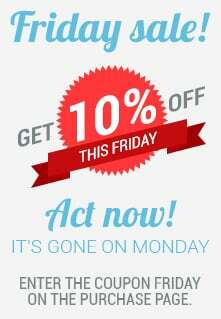 Download the free trial version and give it a try. Later you can register it entering the key. Nothing to lose - lots to gain. Note that Total Image Converter is not only a TIFF PDF Converter but also all formats converter: it supports BMP, PNG, JPEG, RAW, PSD, and many other image formats.